This Kendell-Jackson property is located on the Santa Maria Valley Wine Trail and covers more than 1,400 acres. Barbara Banke, along with her spouse, the now-deceased Jess Jackson, established Cambria in 1986 after purchasing what was originally known as the Tepusquet Vineyards. This benchland is located between the Sierra Madre Mountains and the Sisquoc River, and was originally denoted as Tepuzli, a Chumash Indian term meaning “copper coin.” Spanish settlers later renamed it Rancho Tepusquet. The original owners of the rancho, part of a 1838 Mexican land grant, were the Olivera family who raised cattle and planted Mission grapes. According to Salud! The Rise of Santa Barabara’s Wine Industry (Victor Gurachi, 2004), Tepusquet Vineyards was owned by Luis and George Lucas and partner Al Gagnon, and consisted of a 2,700-acre ranch with 1,700 acres of developed vineyard dating to the 1970s. The Lucas brothers eventually fell on hard financial times and decided to sell the ranch. They spurned a generous offer from Beringer because of their concern that Beringer would “bury its quality grapes in their Napa Ridge second label and not give recognition to Santa Barbara County.” By 1985, Kendall-Jackson was producing 63,000 cases of Chardonnay per year from the Santa Barbara County region and Jess Jackson wanted to expand his production of Chardonnay to produce a vintner’s reserve based on Tepusquet Chardonnay grapes. Eventually, the Lucas brothers sold a sizable portion of the Tepusquet Vineyards to Jackson and Banke, who partnered with the Robert Mondavi Winery that valued the Tepusquet Vineyard’s Cabernet Sauvignon and Sauvignon Blanc grapes. 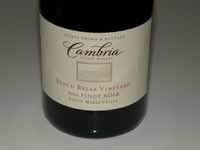 Cambria Estate vineyards are located 17 miles inland from the Pacific Ocean and sit at 400 to 800 feet above sea level. They are planted in sandy, alluvial soil that is well-drained which limits yields and drives the vines to concentrate their energy on fruit maturation. The cool climate with moderating maritime influences from the east-west orientation of the valley leads to a long growing season and desirable acid retention. 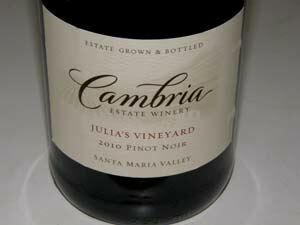 There are currently five estate vineyards at Cambria, with Katherine’s and Julia’s named after Banke’s daughters. Along with Tepusquet Vineyard, these three vineyards supply 90% of the grapes to the winery. A smaller contribution comes from Bench Brake Vineyard and Rae’s Vineyard. The winery is best known for three wines: the Julia’s Pinot Noir, the Katherine’s Chardonnay and the Tepusquet Syrah. Julia’s Vineyard grapes are especially prized by local wineries and grapes have been sold to such notable wineries as Benjamin Silver Wines, Bonaccorsi, Byron, Foxen, Hitching Post, and Lane Tanner. There are a total of 483 acres of Pinot Noir planted on the Estate including 4, 5, 12, 15, 23 2A, 115, 667, 777, 828, and Julia’s, creating an attractive mix of clonal diversity. Over 300 acres of the Estate are available for future development. All grapes from the Estate are certified sustainable by the CCSW program. 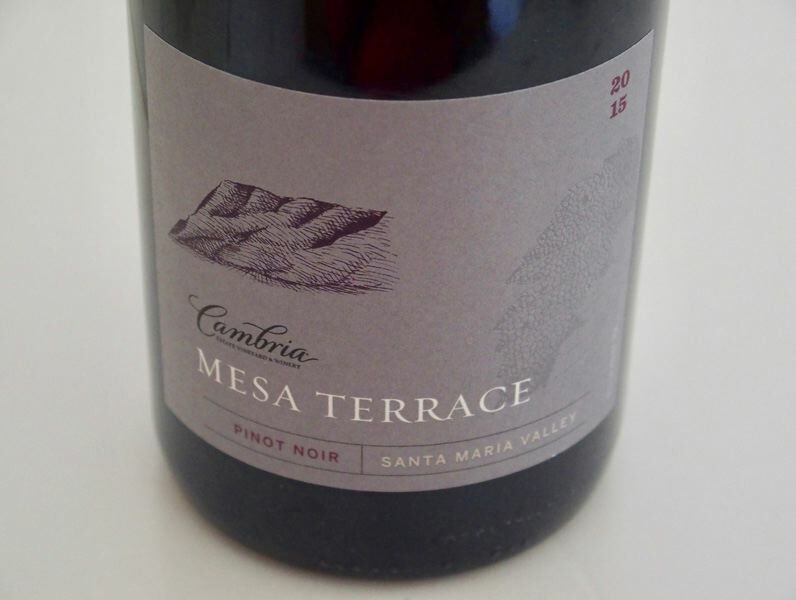 What is less well known and advertised is that Cambria Estate Winery also specializes in limited production, distinct clonal Pinot Noirs. If you have the interest, tasting the clonal Pinot Noirs side-by-side can offer a good education in clonal differences since the wines are vinified in an identical manner. These wines are sold primarily through the winery’s tasting room, to wine club members, and to a mailing list, but you can call the winery at 888-339-9463 for availability. Denis Shurtleff was appointed winemaker in 2002. She is a graduate of Cal Poly San Luis Obispo who started her career as a lab technician at Corbett Canyon. She eventually worked her way up to winemaker and spent sixteen years at Corbett Canyon. 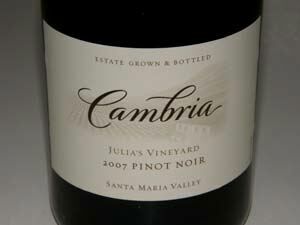 She then joined winemaker Fred Holloway at Cambria and eventually replaced him. 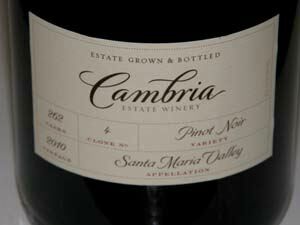 All Cambria wines are grown, produced and bottled on the Estate. 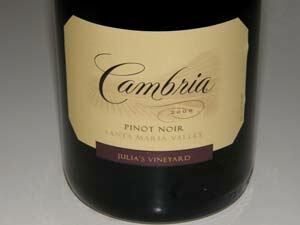 Cambria Wines are well distributed in retail wine stores and supermarkets and can be ordered on the website. The tasting room, located at 5475 Chardonnay Lane, Santa Maria, is open daily from 10-5. The phone is 805-937-8091. A Kendell-Jackson property.